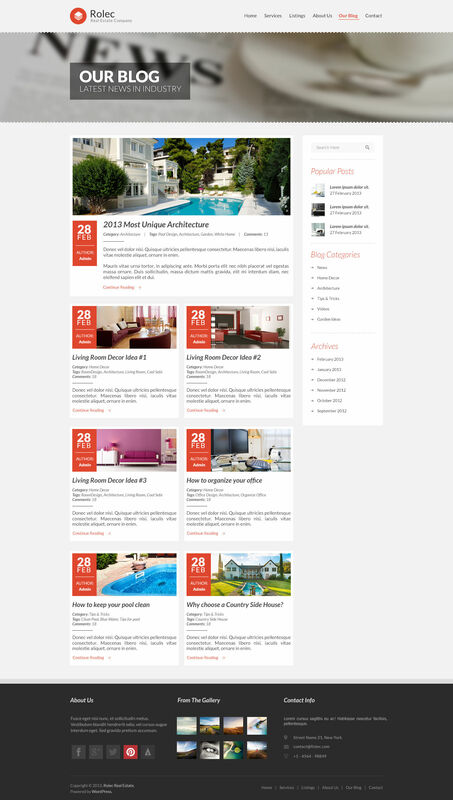 Fully Responsive The Theme also build with Responsive layout, which will retain the looks to be viewed/visible properly and maintain the theme always looks nicely on different size of devices such as desktop, laptop, tablets and mobile phones at all time. 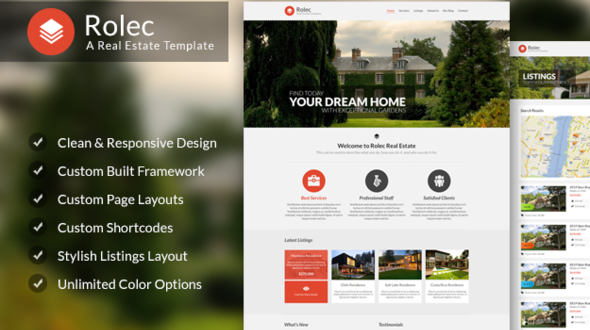 Based on 1140CSS Framework Created with Beautiful design and Professional look with 1140 Grid System, Rolec Theme design is unique and not just another Real estate theme but also give a presentation with a Business corporate looks feeling at the same time. 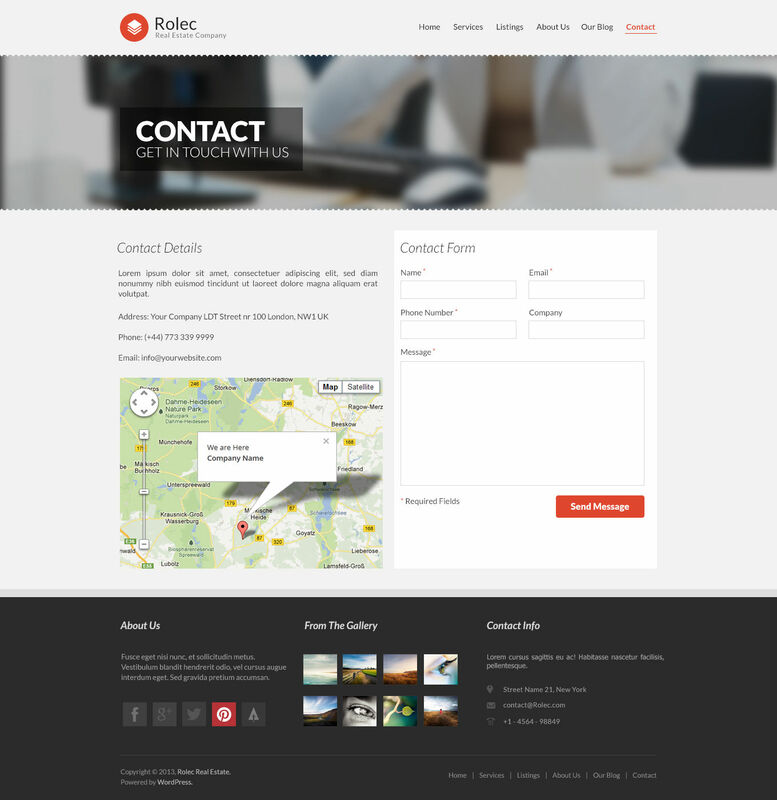 Rolec theme comes with easy installation with 5 ready color schemes and also unlimited colorable function based on your choice from the back end panel. Advance Search Advanced search functions for easy search from property listings, just choose the options base on what you want and the best part is you don’t need to fill out all the options, even with one option you choose and just click the search button, the theme will narrow down all properties and it will bring you directly to the property you want. This will help buyer saving their time and for agents to get a contact faster in no time. 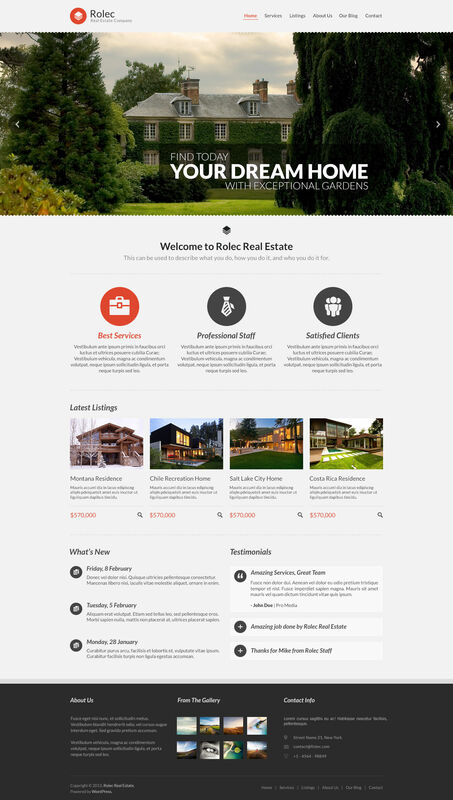 Easy Add Agents and Property Listing With Rolec Theme, Admin can add user as a property agent who will have the ability to add and edit their own property. It’s just like a Blog site with the owner as an Admin and the writer as an Author. Full profile also included for each agent with their complete information from contact number, social networks, and also their Speciality in what property each agent will be handle and also which location they are handling. this function will help admin to easily manage their agents and also for each agent to easily manage each of their clients. 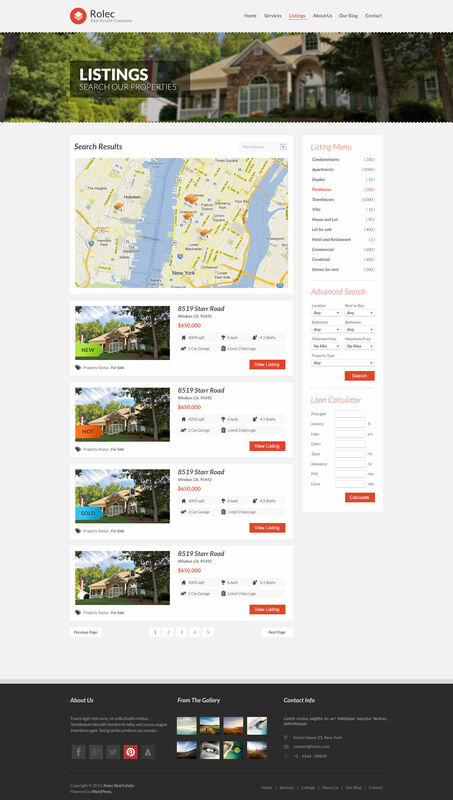 Build on ZetaOne Rolec is build on ZetaOne framework which offered full configuration from the basic needs like changing logo, favicon and colors to more specific details like changing your own layouts, styles, fonts, manage your plugin, SEO, maps, and also property listings, to change your property tag from Available to Sold and also manage locations of property and property agents with 4 level from Country, State/province, City or Zip codes. With ZetaOne base theme, everything is customizable, from layouts, styles, sliders to WordPress plugins. All ready with easy to customize and at one place. ZetaOne also support AJAX content fetching system. Help documentations are available, Click here for ZetaOne Documentations. There are few ways to get to our Supports : Email us at support@victheme.com for faster response Live chat support just by visiting our homepage http://www.victheme.com/ Check our FAQ page http://www.victheme.com/faq Read our documentation http://www.victheme.com/documentation Contact our support at http://www.victheme.com/get-support We will try to get back to you in no time. updated to zetaone 1.7.13, fix clash with akismet class, fix css, fix font uppercase bug, fix property search.